The 2019 IIHF Women’s World Championships begin Thursday in Espoo, Finland, with eight countries participating – the United States, Canada, Finland, Russia, Sweden, Germany, Japan and Switzerland. The tournament begins with group play and concludes with the gold medal game on April 14. The perennial powers in international women’s hockey, Canada and the United States have combined to take gold and silver in every World Championship. And while Canada has taken four of the past five Olympic gold medals, the United States has won four straight World Championships and seven of the past eight. The United States and Canada will compete in Group A in Worlds, meaning they will meet in the group play stage of the tournament. The two teams have met more recently than they typically would have leading up to Worlds after competing in the inaugural three-game Rivalry Series in February. Canada took the series win, defeating the United States twice during the series. Stecklein is one of 10 players who competed in the NWHL in 2018-19 who will be participating in World Championships. In fact, she ended the season as the Isobel Cup MVP after scoring the game-winning goal as the Minnesota Whitecaps won the Isobel Cup in their inaugural NWHL season. Picard has just re-emerged on the national team scene, earning a roster spot for the Rivalry Series and now for Worlds, marking her first major tournament back with the U.S. In addition to Stecklein and Picard, Dani Cameranesi, Emily Pfalzer and Hayley Scamurra of the Buffalo Beauts, Amanda Kessel of the Riveters, and Hannah Brandt and Kendall Coyne Schofield of the Whitecaps will represent the United States. 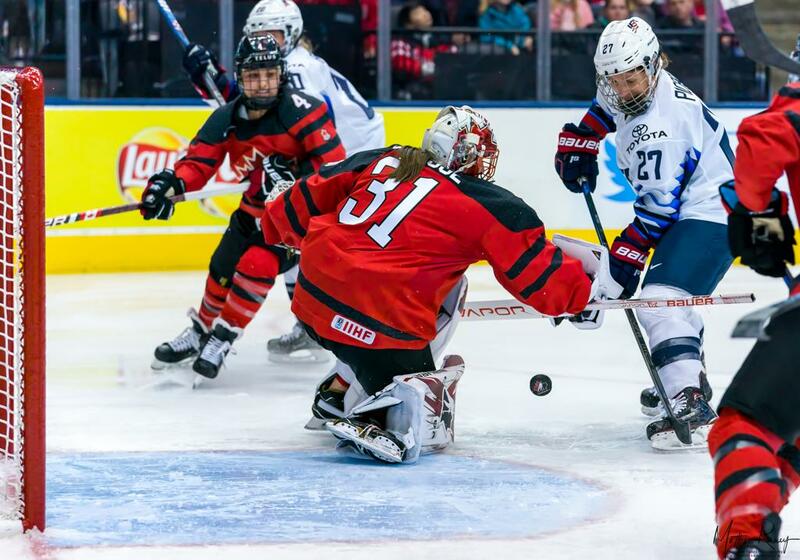 Beauts goaltender Shannon Szabados will represent Canada, while fellow netminder Meeri Räisänen, who spent most of the season with the Connecticut Whale, will represent Finland.